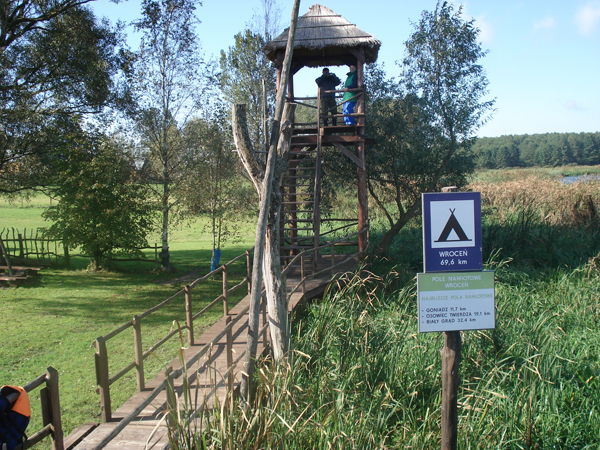 Biebrza National Park was held in 1993 to protect the largest coherent area of fens among the Western and Central Europe. 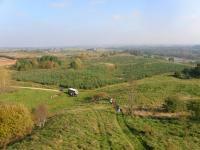 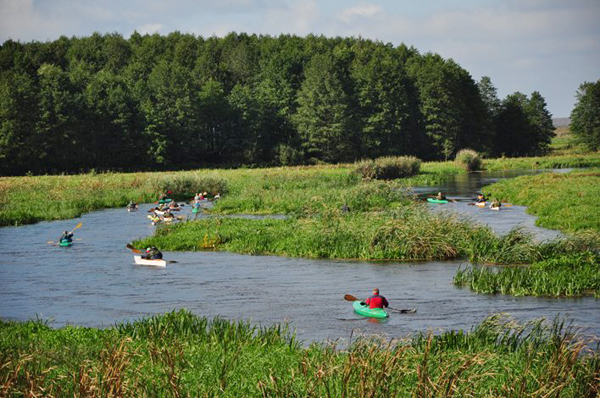 This is the biggest Polish national park - its area covers almost 600 km2 of the broad, wetland river valley. 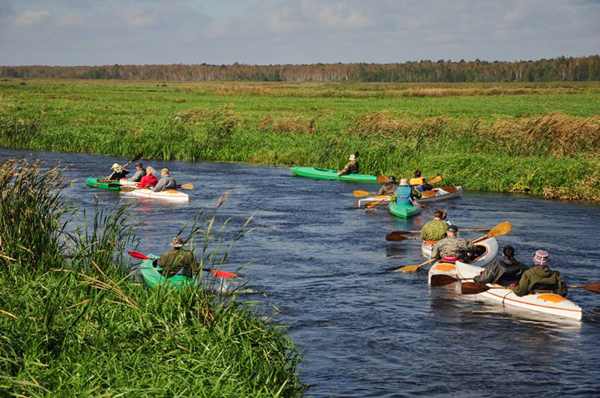 Main goal of the project: to create a new, transboundary touristic product, which are canoe trails in Poland and Lithuania. 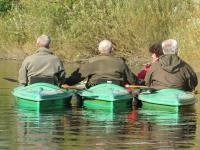 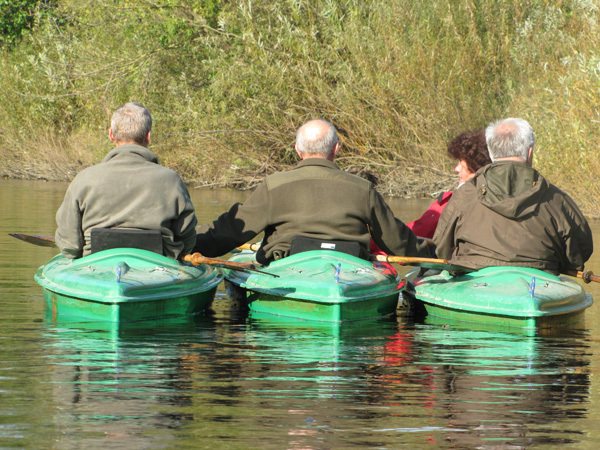 The basic target group: local people and stakeholders that live along canoe trails in Poland and Lithuania. 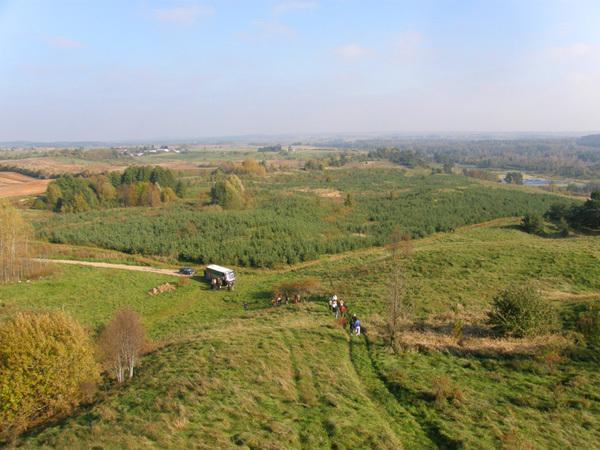 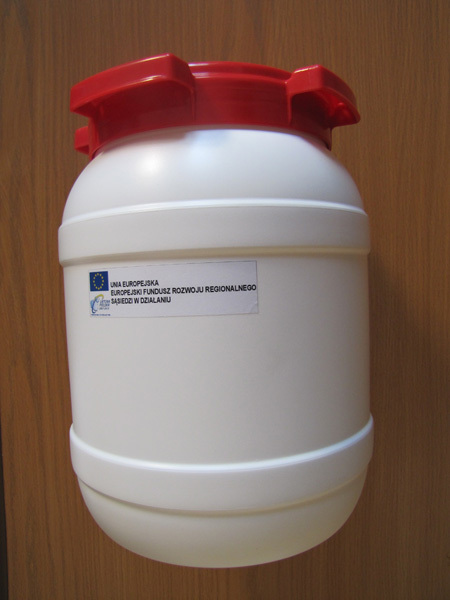 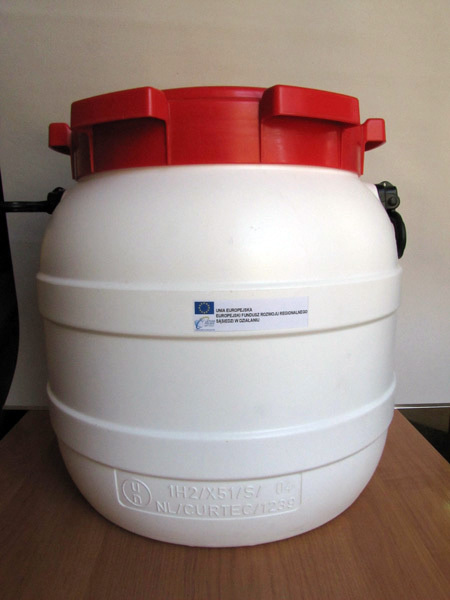 The project has a strong regional and transboundary influence for the local people and business on both sides of the Polish-Lithuanian border. 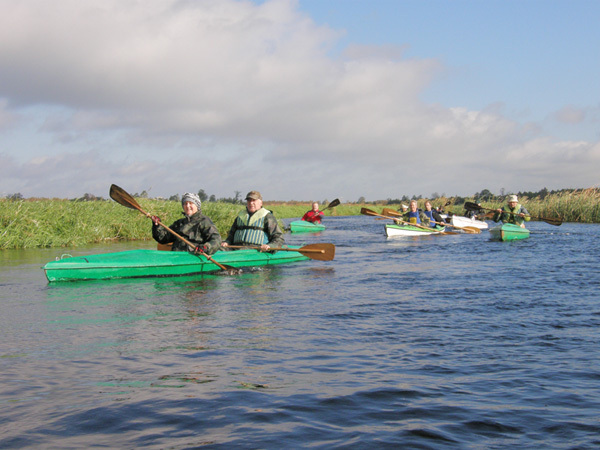 Created concept of touristic infrastructure and activities, as well as the promotion of canoe trails will have a positive economical impact. 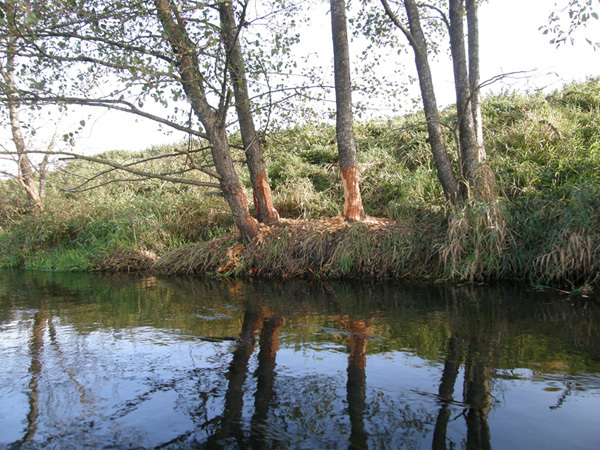 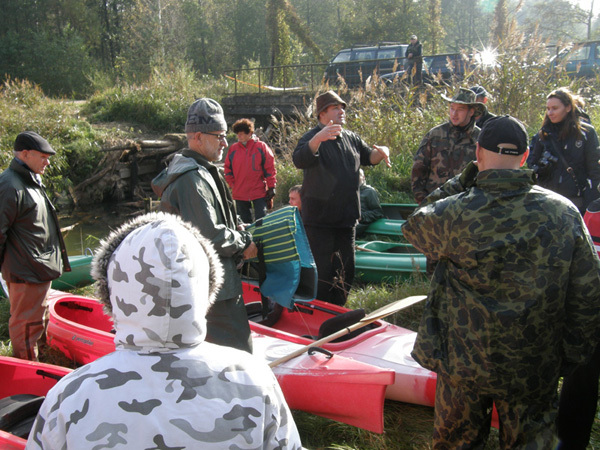 Reliable structures of transboundary cooperation will be created in various aspects, of which the most important are: local authorities cooperation, environmental conservation and ecological education. 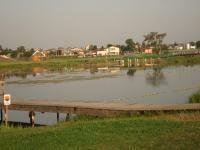 Principally, application of the project will help to brake language barriers and to induce socio-economical development of the region. 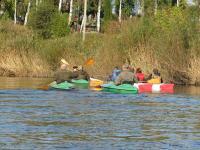 The touristic product will be created of crucial importance for both sides of the border. 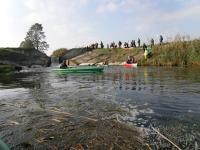 The project is complementary – similar coherent activities will be fulfilled by both Polish and Lithuanian side. 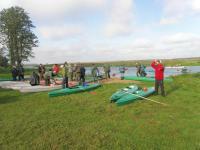 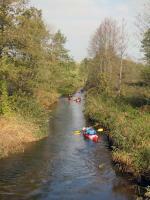 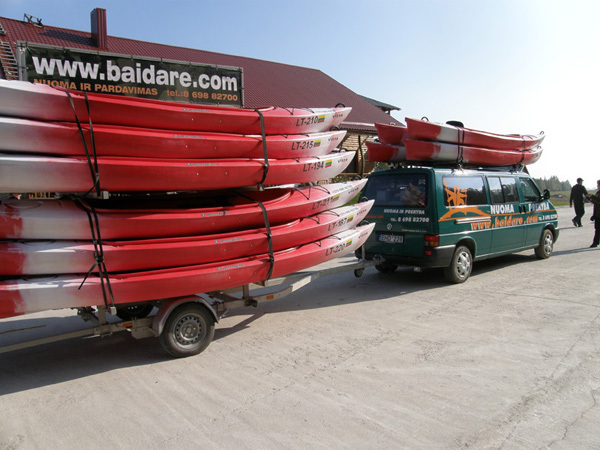 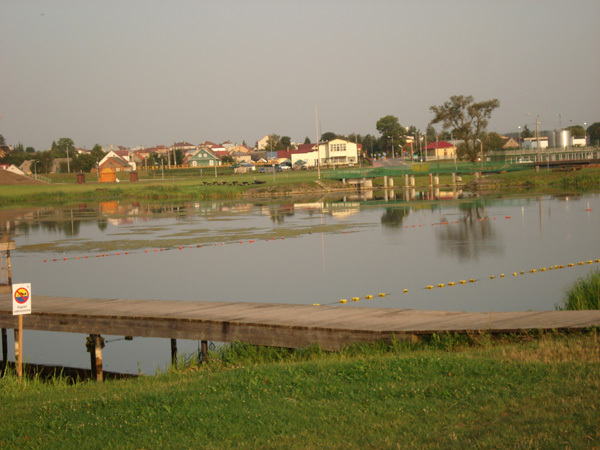 On 15th – 19th of September, the international canoe raft combined with the field workshop was held. 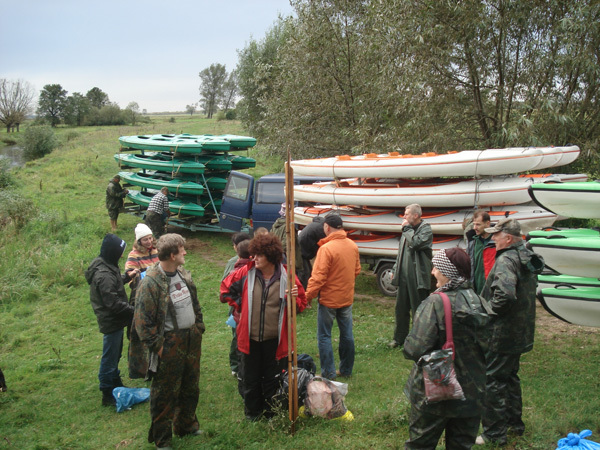 The beginning of the raft: Milewszczyzna, the end of the raft – Osowiec-Twierdza. 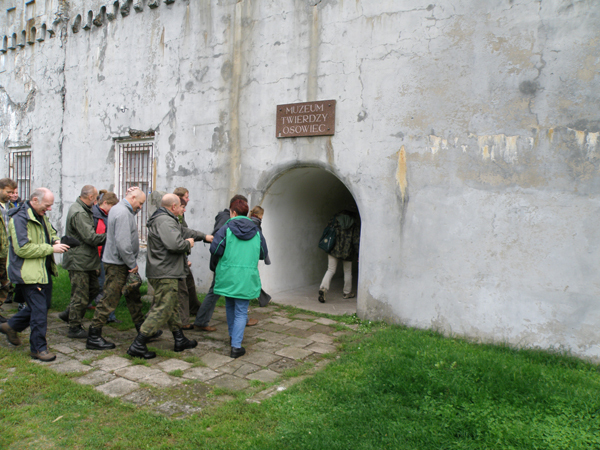 Scheduled actibities: Visit in the Grzedy Protected Zone, presentation of touristic values of the Biebrza National Park, sightseeing in the Stronghold of Osowiec. 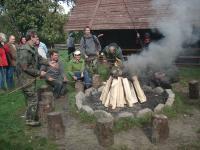 19.00 – camp-fire dinner, summary of the day, exchange of experiences. 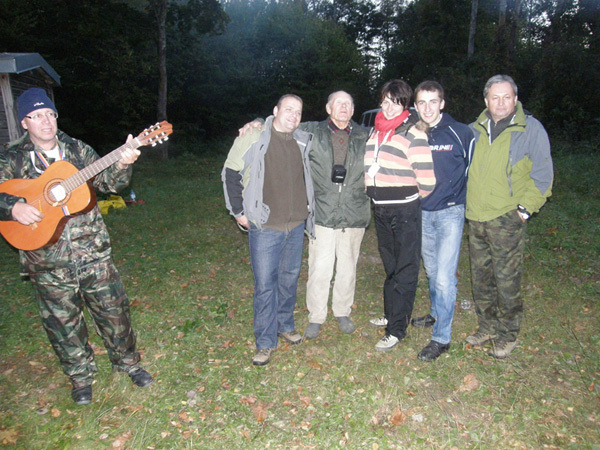 18.30 – camp-fire dinner in Wroceń, summary of the day, exchange of experiences. 15.00 – Official farewell dinner, Summary of the workshop, exchange of experiences and remarks, the end of canoe raft. 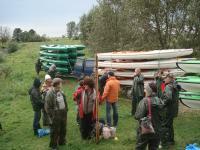 The field workshop – canoeing on rivers Kumiałka, Brzozówka and Biebrza started on 15th of September 2010. 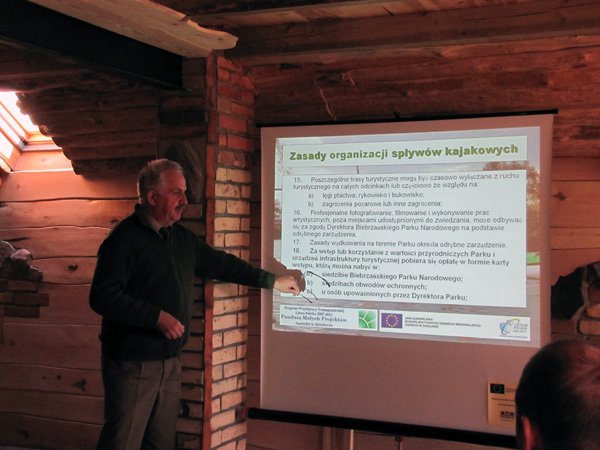 After arrival of participants to the head office of the Biebrza National Park in Osowiec – Twierdza, director of BNP, Mr. Wojciech Dudziuk, welcomed all and officially opened the workshop. 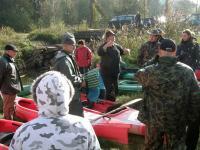 Next he introduced Commander of the canoeing and remaining persons responsible for organizing this event. 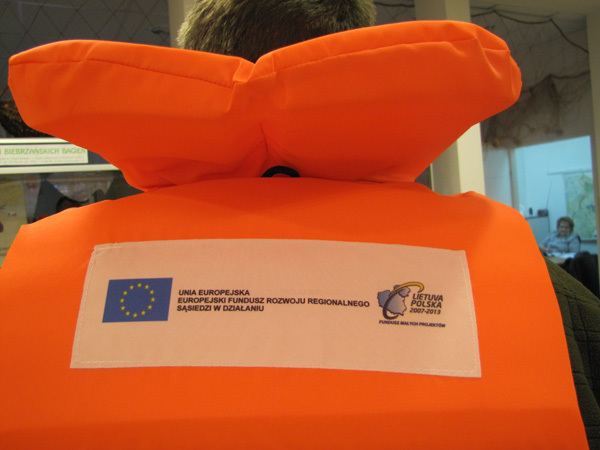 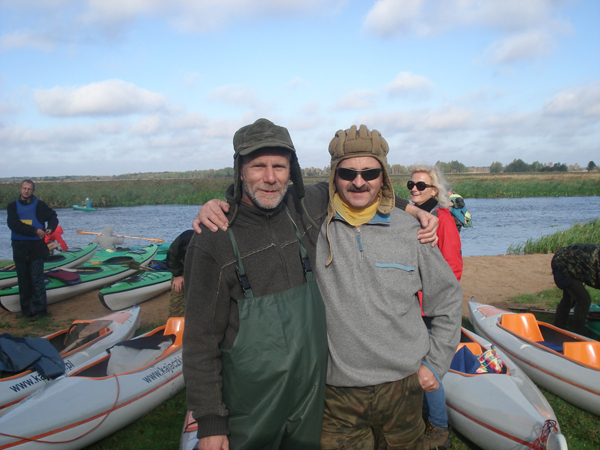 Mr. Karol Skibiński, the Commander, introduced regulations applying to all participants during canoeing and Mr. Andrzej Grygoruk presented outline of the workshop programme. After official opening we went for the lunch to the restaurant “Wygoda” and then drove to Mielewszczyzna on Kumiałka river. 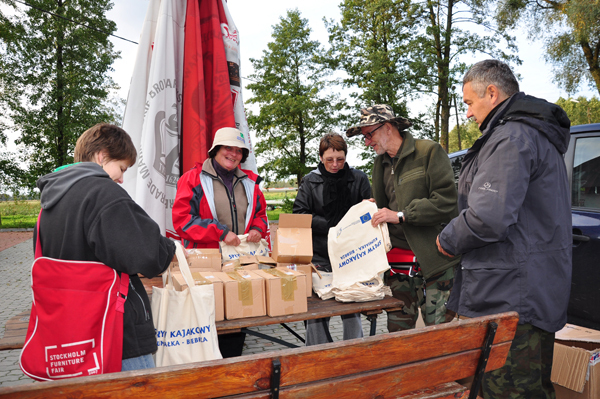 Transport of participants was organized by company „Sylwia – Turist” and their luggage and food were transported by auxiliary staff of the National Park. 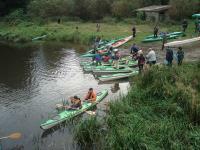 At 3 p.m. the canoeing has begun. 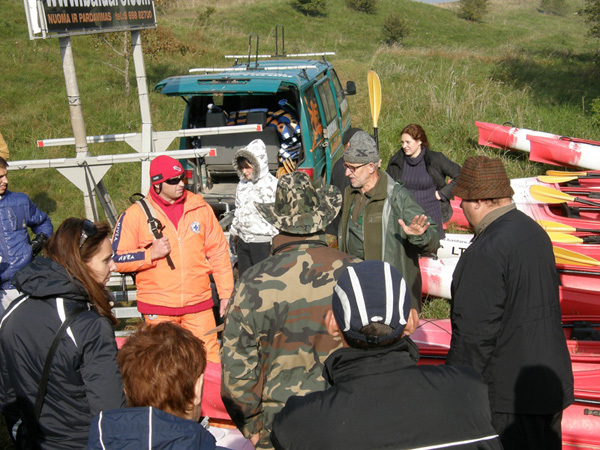 Commander, lifeguards and doctors presented safety rules and provided some practical information: how to use life jackets, how to safely board and get out of the canoe, how to effectively paddle. 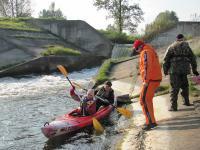 They also presented details of the trip, persons responsible for safety and order of canoeing. 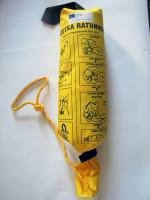 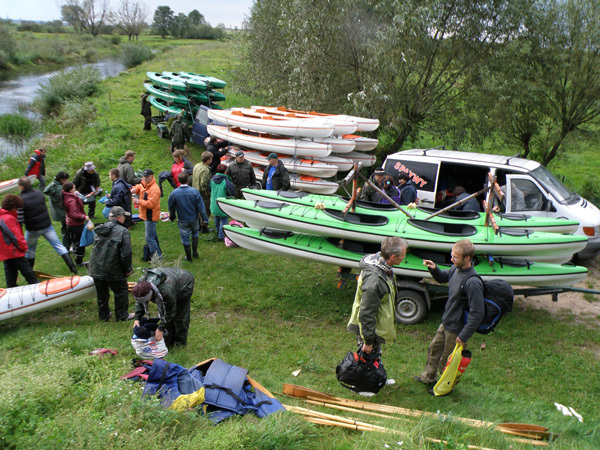 All persons received their canoes and necessary equipment. 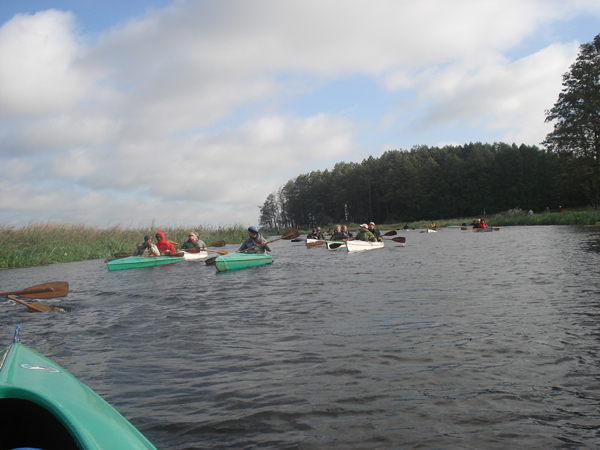 The canoeing started at reservoir on Kumiałka river, at the place where in XII century was located fortified castle. 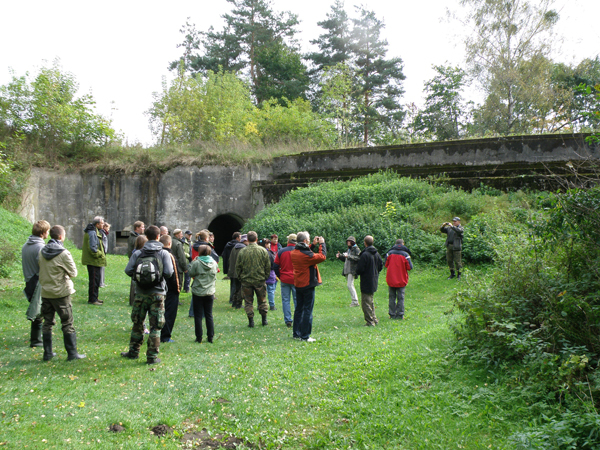 The council of Korycin makes plans to restore this site for recreational purposes. In this place will be also located first information board on the canoeing trail Kumiałka – Brzozówka. 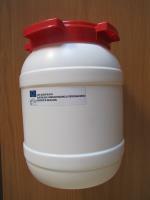 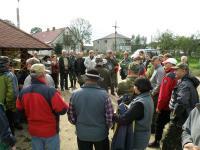 Tourism Farm “Dolina Biebrzy” – 8. 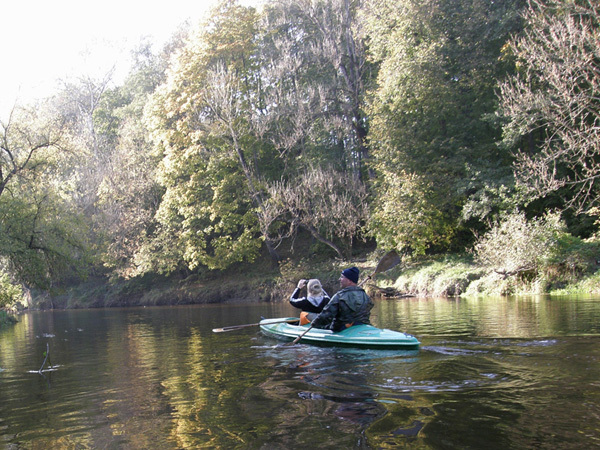 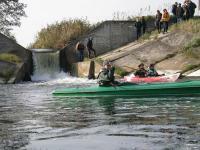 Canoeing on Kumiałka river has finished on reservoir in Korycin. In this place will be located second information board on the canoeing trail Kumiałka – Brzozówka. Then we set up camp and prepared supper under supervision of quartermaster Jarosław Paradowicz, from the products purchased in local shop. 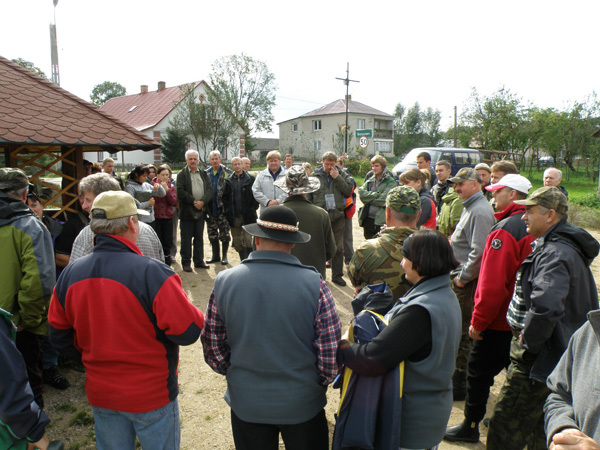 We finished first day at the bonfire, where we summed up our experiences and familiarized with plans for next day. 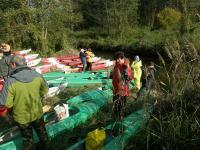 After breakfest we picked up our lunch bags and took down a camp. Before canoeing started there was organized a short workshop about safety rules and safe carrying of canoes over obstacles on the water routes. 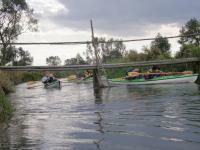 The practical part (carrying of canoes) was organized at the watergate on reservoir in Korycin. 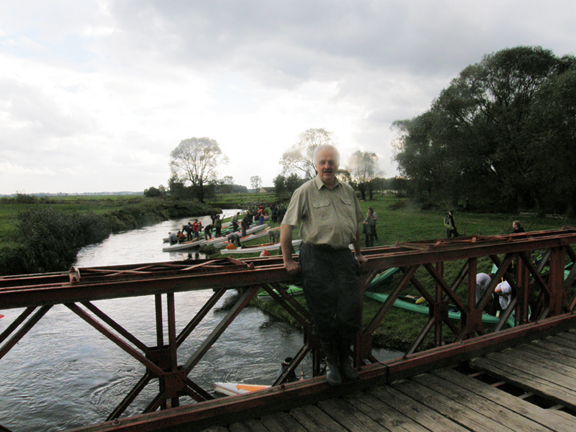 During second day we covered 14 kilometers on rivers Kumiałka and Brzozówka and finished at bridge in village Brzozowa. 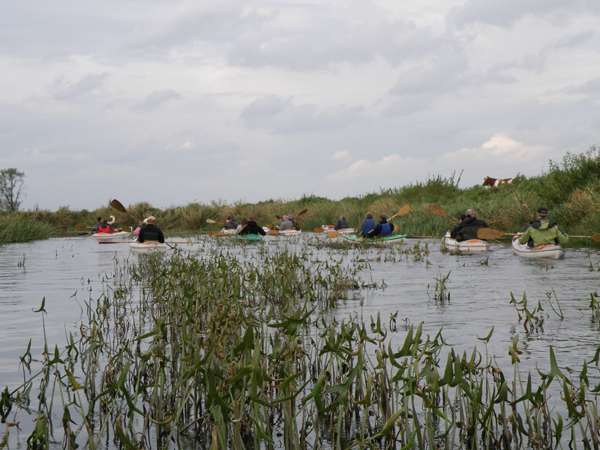 We encountered some difficulties at landing, because the river bank was used by local people for watering cattle and therefore was very swampy. 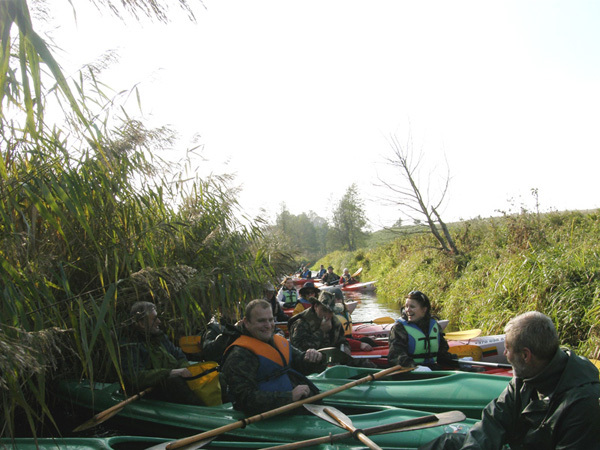 After washing up and securing canoes we went for bus tour to protected district Grzędy in the Biebrza National Park. 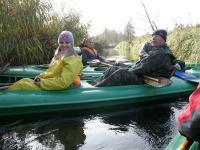 Main purpose of this trip was to introduce the value of natural environment of the Biebrza National Park and tourist infrastructure of walking and biking trails. 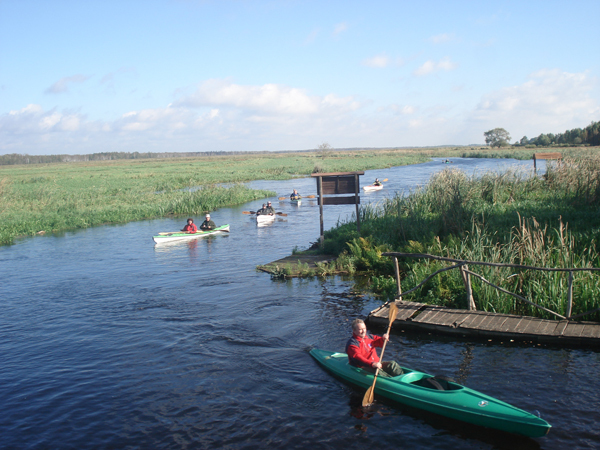 The trip lasted for 4 hours and the weather was fine. 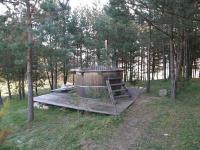 Around 7 p.m. we arrived at camping site „Bóbr” in Osowiec-Twierdza. 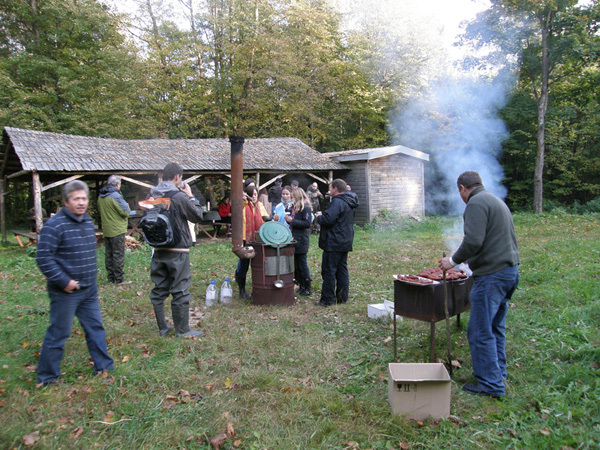 After setting up the camp we had a supper and then bonfire (prepared by restaurant “Wygoda”). 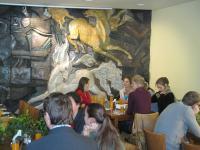 During meal we shared our experiences and impressions. 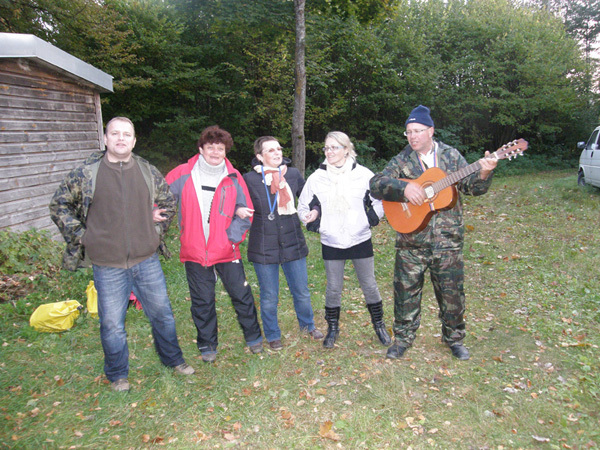 The Polish and Lithuanian participants were singing their national songs until late night. 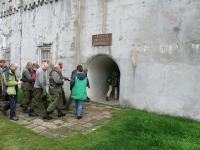 After early breakfast we visited Osowiec fortress. 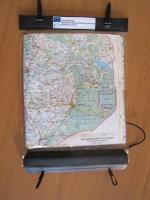 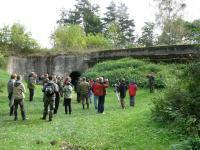 We were guided by members of Osowiec Fortress Society and they told us about history of this object. 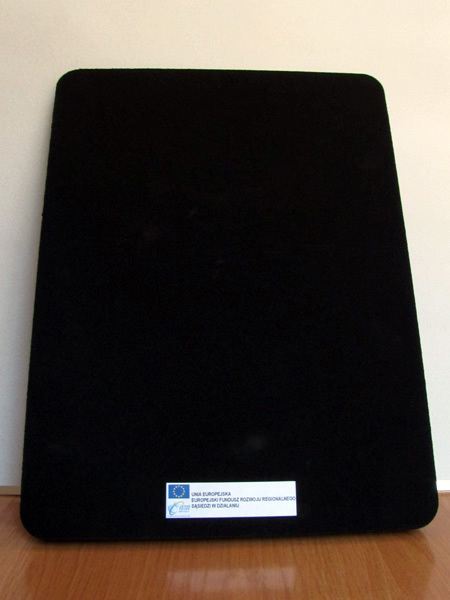 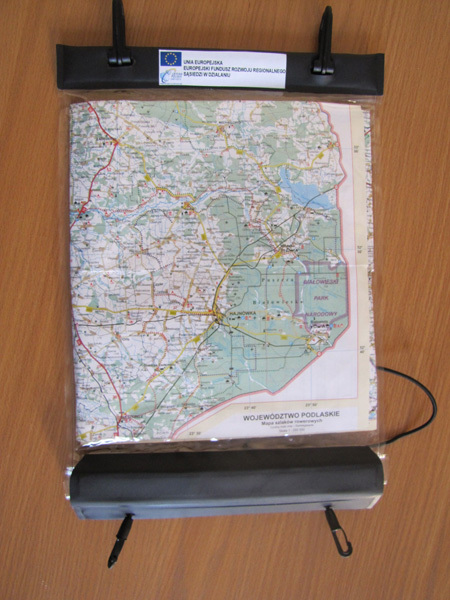 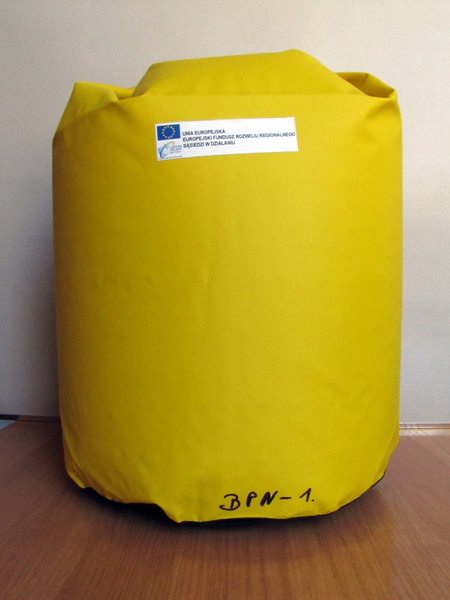 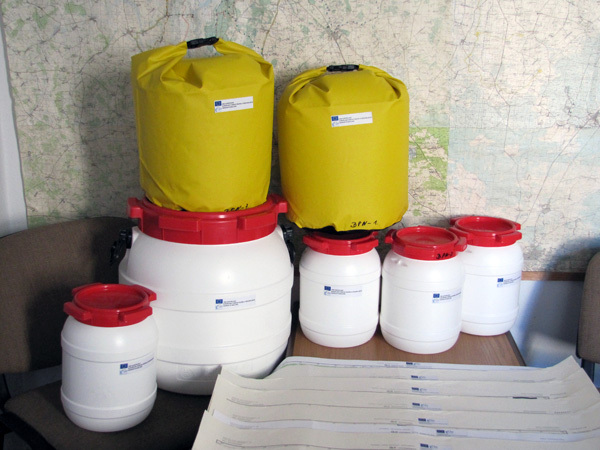 Then we received promotional materials made during the project “Development of water tourism in the borderland” in the framework of Polish-Lithuanian Transborder Cooperation Programme. 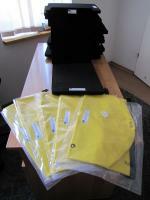 We dressed up t-shirts and caps, and received ecological bags with project logo. 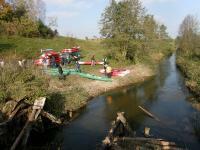 Next we headed into village Brzozowa on Brzozówka river, where we started third day of canoeing to village Karpowicze. 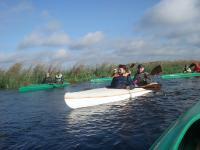 The canoeing lasted for 4 hours and we covered 12 kilometers. 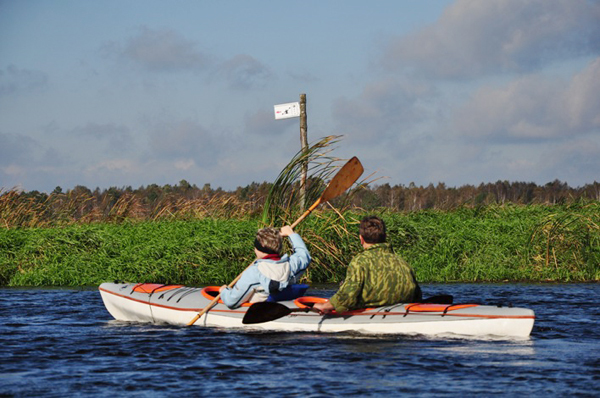 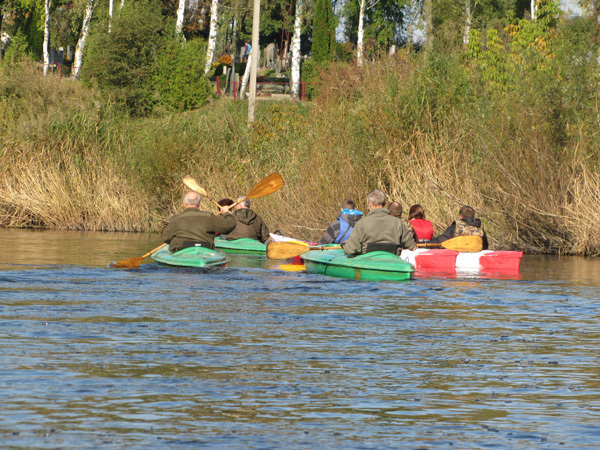 In Karpowicze will be located third information board on the canoeing trail Kumiałka – Brzozówka. We finished our canoe trip at the bridge and we were drove to Suchowola (the head office of local community). 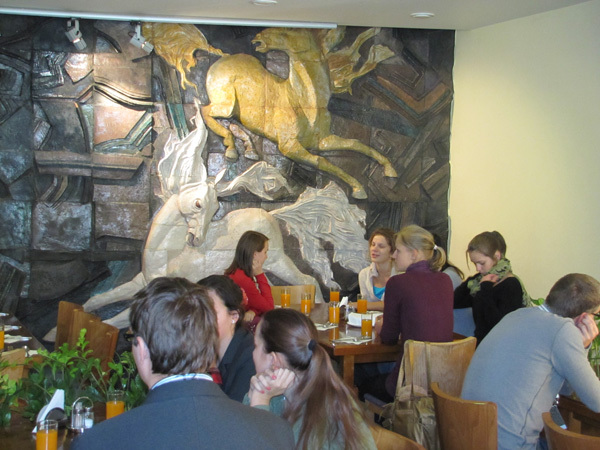 There we had a delicious lunch and went for a walk in the city. 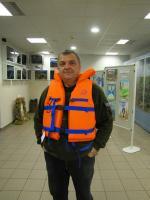 We have seen among others an exhibition room devoted to memory of ks. 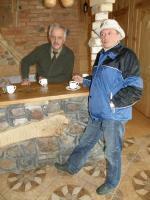 Jerzy Popiełuszko and a stone indicating the centre of Europe. 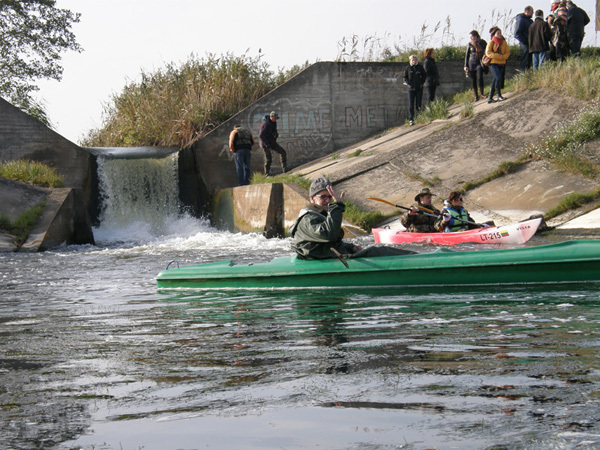 People, which visited this place for the first time, received from the mayor of Suchowola special certificates of being in centre of Europe. 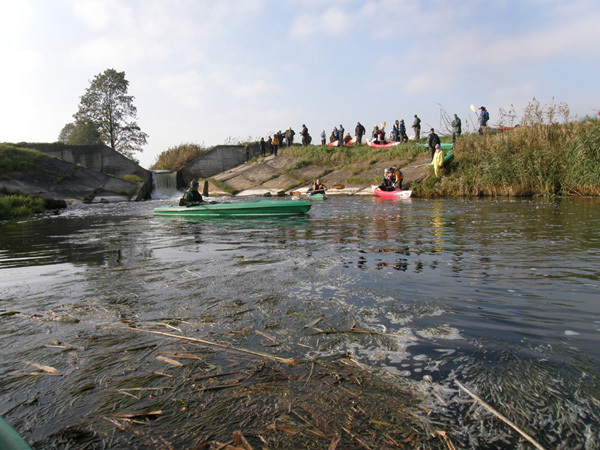 Next all participants went to Jagłowo, charming village located on Biebrza river. 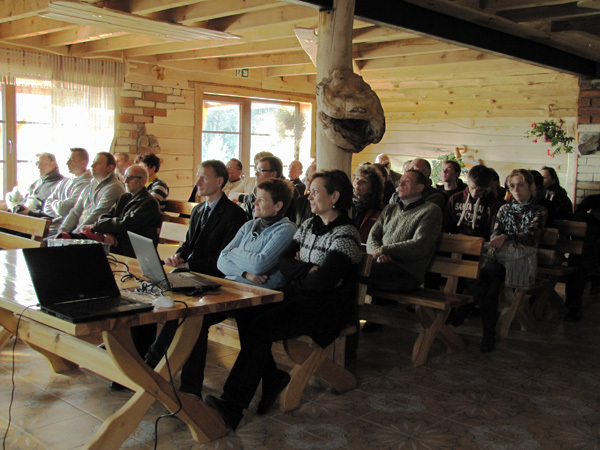 After setting up the camp we watched presentation about wildlife of the Biebrza National Park, prepared by Park staff. 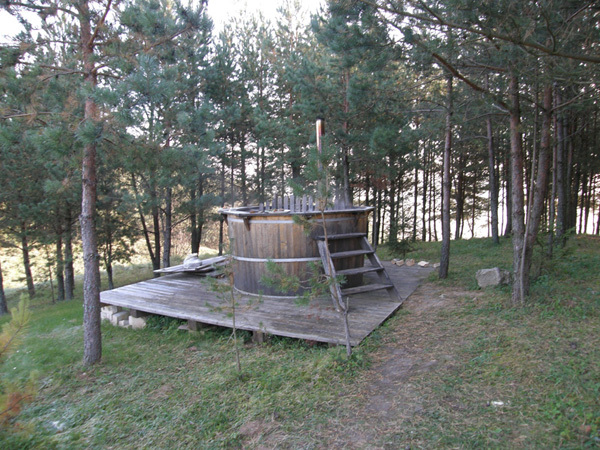 Traditionally the day was finished at bonfire. 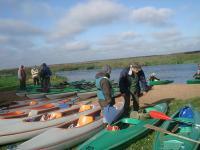 There was a strong wind in the morning. After breakfast we were informed about regulations for visitors in the Biebrza National Park and rules of canoeing at strong wind. 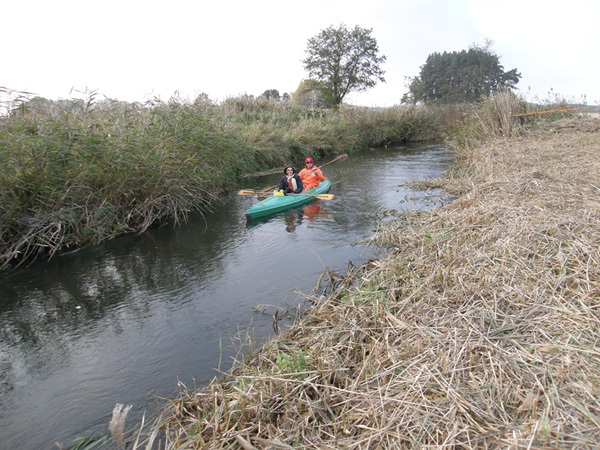 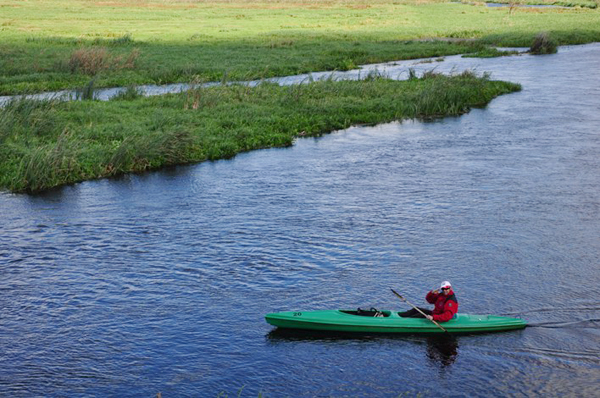 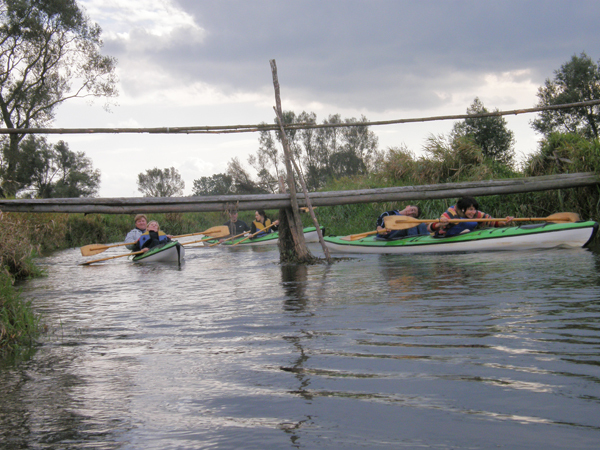 Then we paddled along winding and narrow part of Biebrza river to village Dębowo. 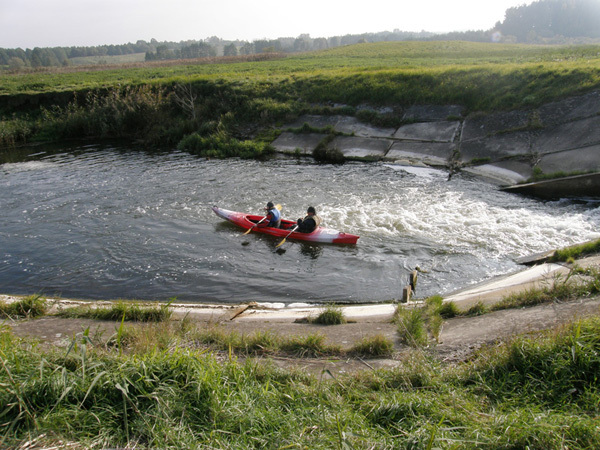 The break was at watergate of Augustowski Channel in Dębowo. 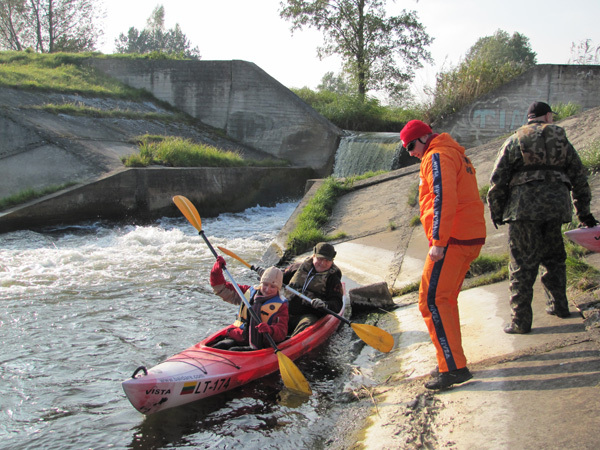 There was small accident, because two teams, one Polish and one Lithuanian, have fallen in to the water when approaching the river bank. After one hour break we continued canoeing to Dolistowo Stare. Despite strong wind we covered this part of trip very fast. 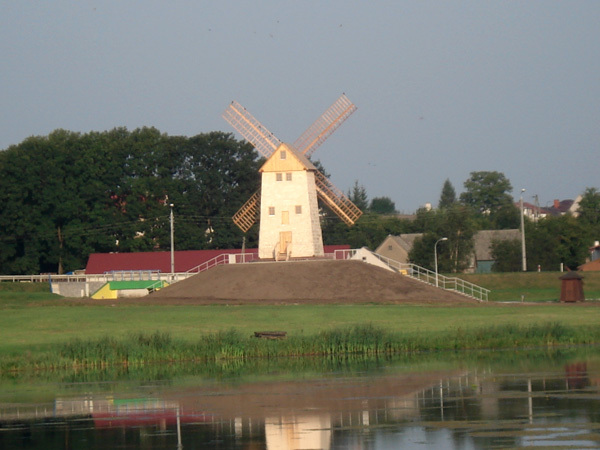 During next break on the beach in Dolistowo we could see infrastructure of leisure facilities, belonging to Jaświły district. In the building on the beach, which served as marina, we had a lunch prepared by bar “Biesiada Weselna” from Kumiały. 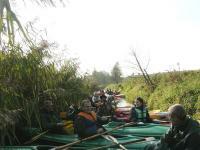 After the meal we continued our trip on the water trail to village Wroceń. 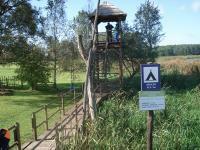 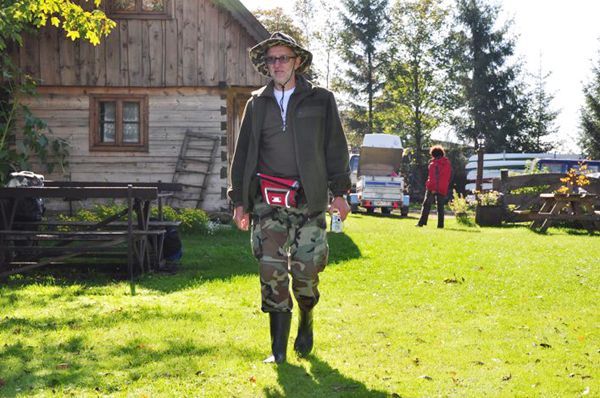 We camped at Tourist Farm “Dolina Biebrzy”, which belongs to family Dębowscy. The host showed around farm and explained us the role of individual members of family at serving their guests, then presented the guest rooms and remaining equipment and told us about cooperation with National Park. 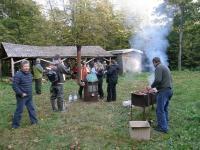 We again finished the day at bonfire. 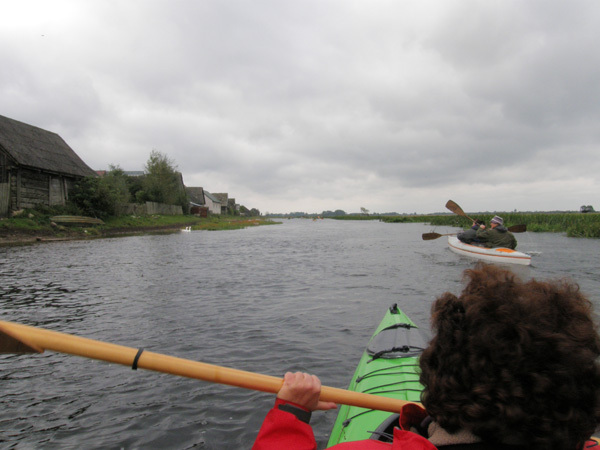 Sudany was sunny, but again windy. 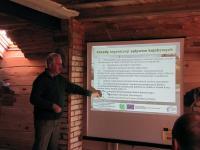 During last day of workshop we wanted to reach Osowiec-Twierdza. 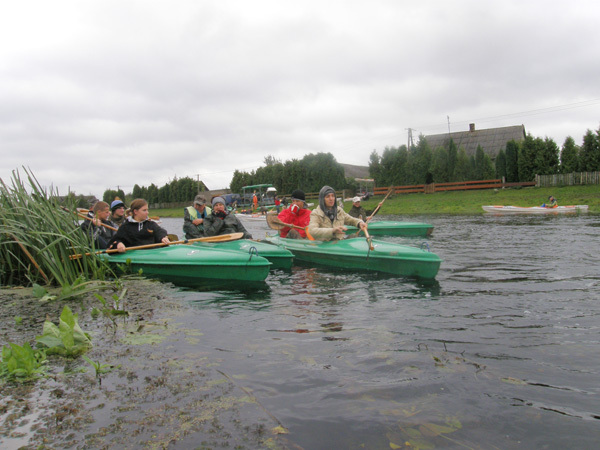 In village Dawidowizna participants from Lithuania and 2 persons form Latvia, from National Park “Gauja”, left the group and lead by Director of Biebrza National Park headed to Goniądz for meeting of society “Ptaki Polskie”. 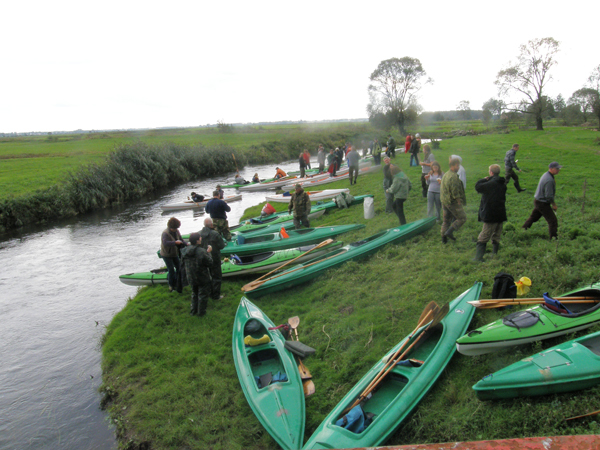 Main aim of this meeting was to arrange a silhouette of white stork using all coming people, to break a Guinness record. 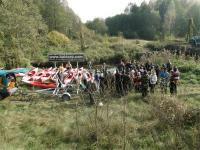 The largest stork in the world was made by 1311 persons dressed up in white, black and red t-shirts. 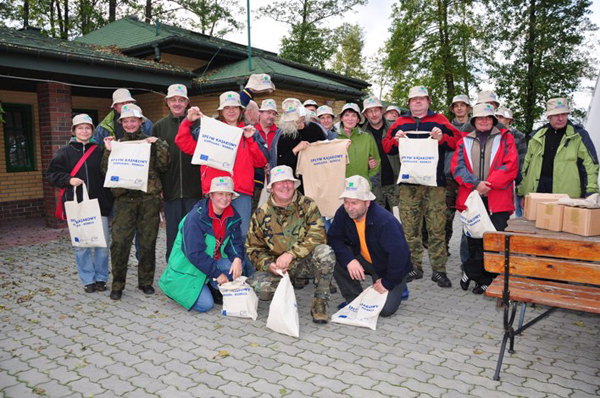 Next our guests participating in the meeting visited Field Education Centre in Osowiec and have seen the plans of improvement of this facility. 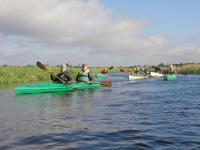 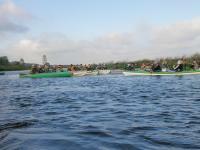 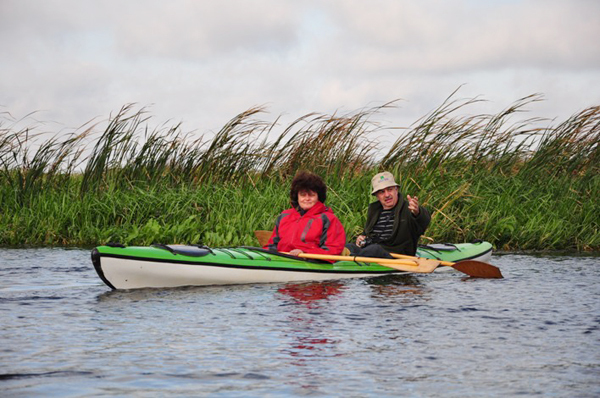 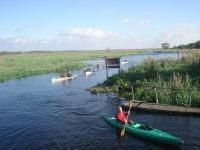 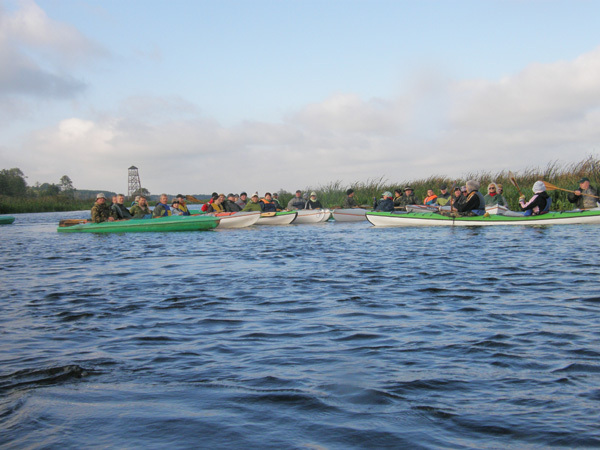 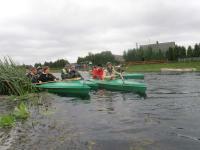 Other participants were canoeing at stormy weather to Goniądz, where the trip finished. 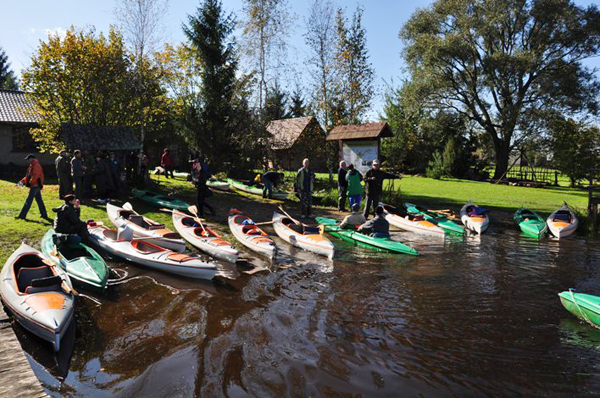 The official closing ceremony took place at camp site “Bóbr” in Osowiec. 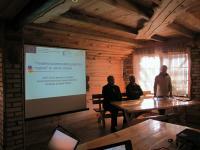 During lunch we summed up the workshop, presented new ideas and decided about date of second part of workshop, which will be held in October in Lithuania. 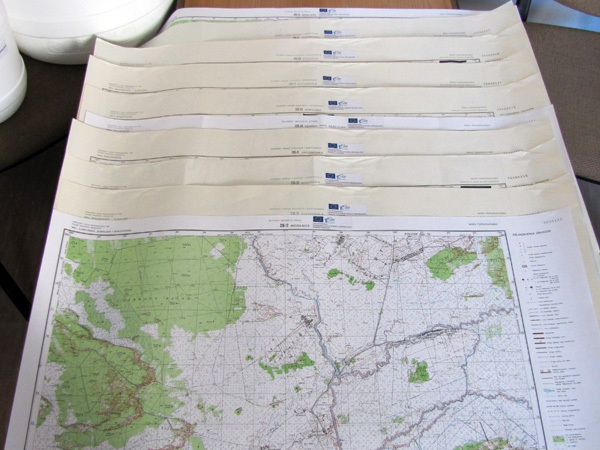 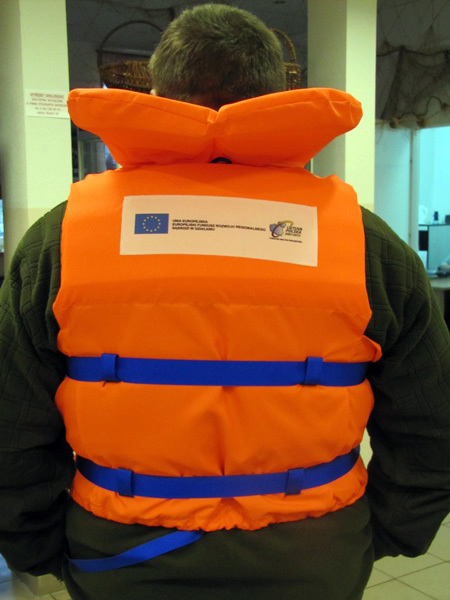 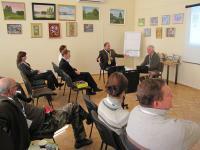 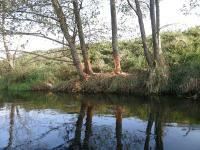 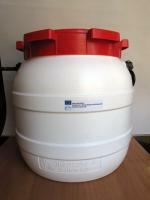 The aim of this workshop will be promotion of water trail on Szeszupa river. The Director of Biebrza National Park said good by to all participants, wishing them fruitful cooperation in development of water tourism along borderland of Poland and Lithuania. 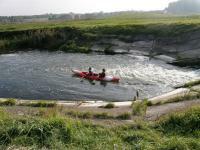 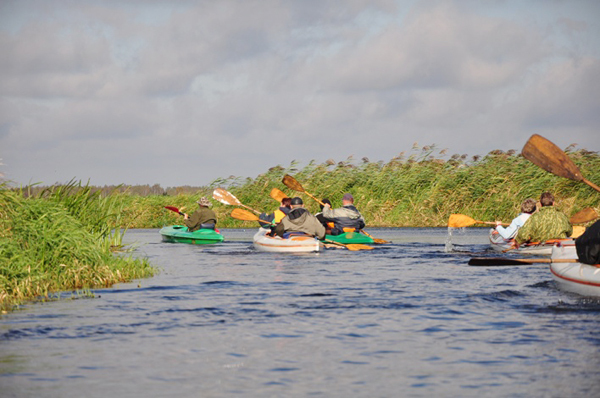 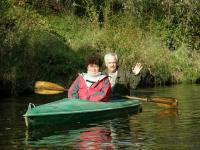 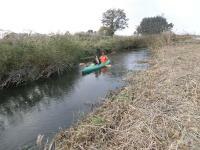 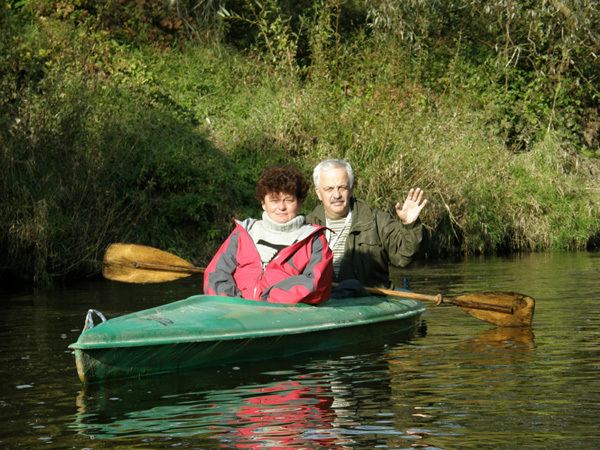 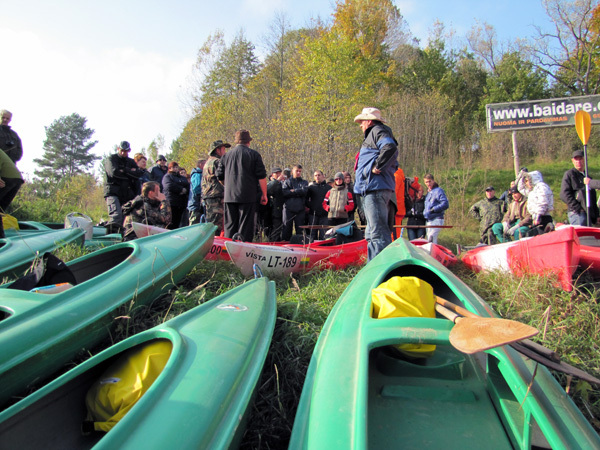 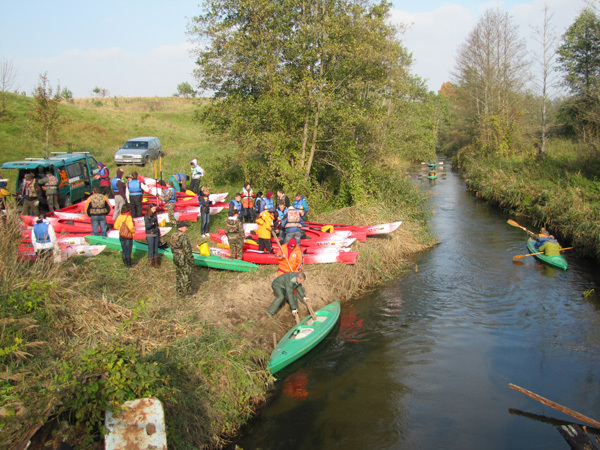 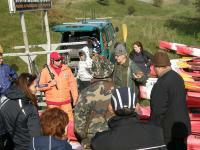 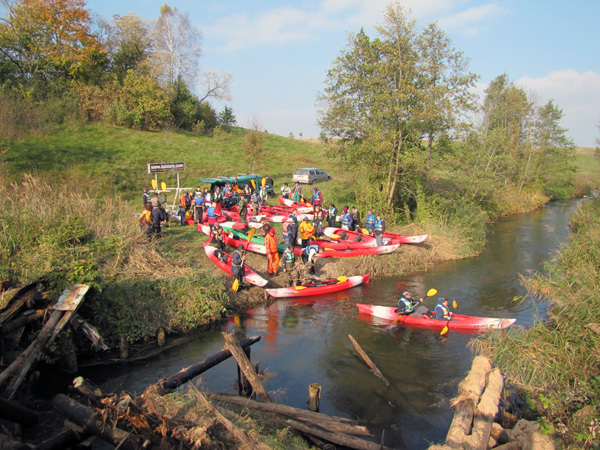 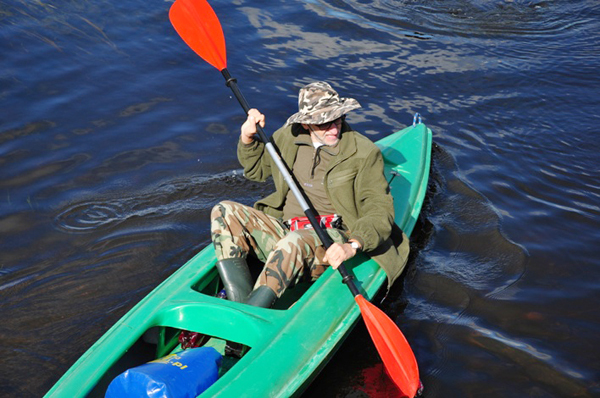 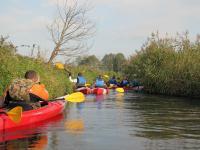 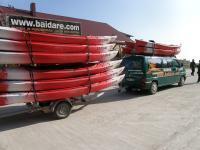 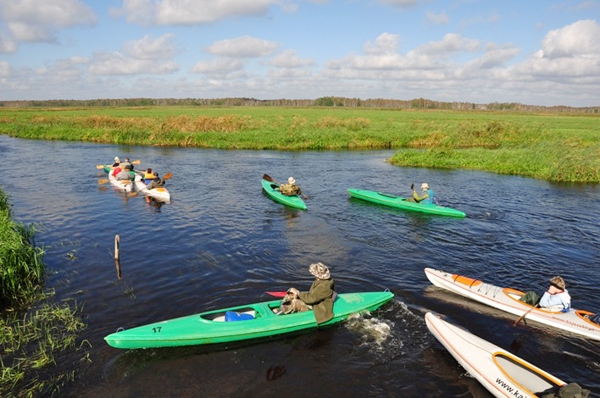 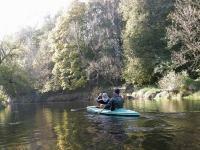 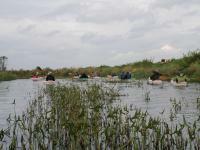 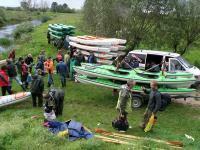 Picture gallery: Canoe raft through the trail of Szeszupa, 7-8th of October 2010.